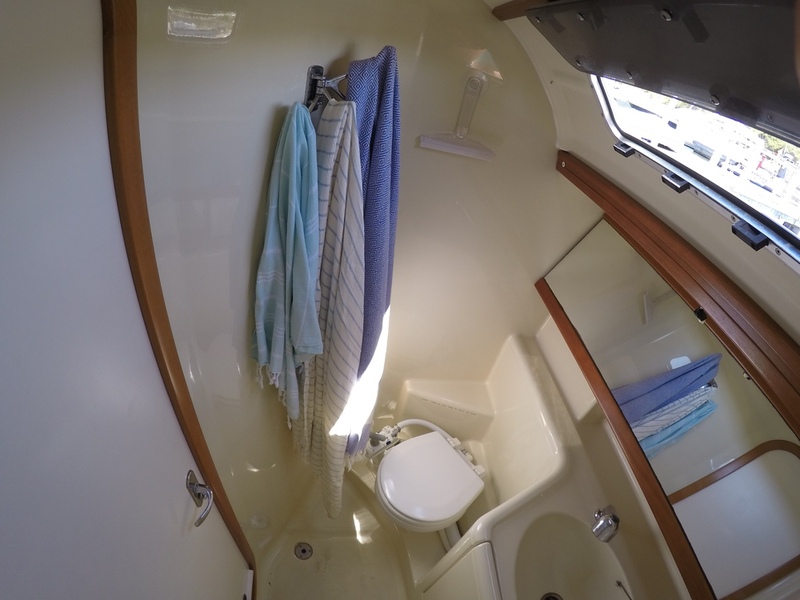 A peak inside our little floating home. 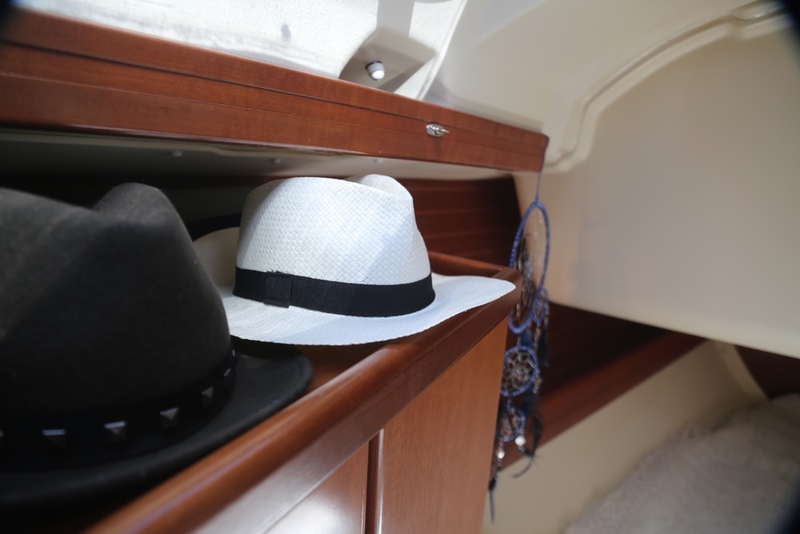 The joy of boats is how clever the space is, there is not a lot of room, but yet there is always somewhere to stow what you need. Saying that you learn to live without all the 'things' you think you need. I'm a massive fan of regularly cleansing all the crap that creeps into my life over time. Usually I just move house which does the trick. Now, I just simply don't buy it. One of most things, a set of six plates, bowls, cutlery and mugs. I let two bottle openers sneak in, you've got to prioritise! We reupholstered when we were prepping the boat for the journey. I handmade all new curtains (Never again are pleated curtains happening) because the cream ones that came with the boat were a bit mouldy. 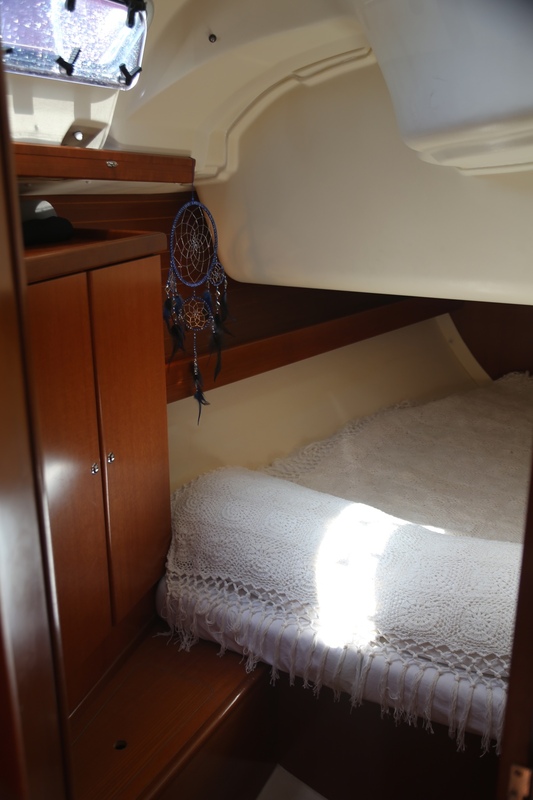 We also extended the bed in the bow cabin because Captain is 6.4". 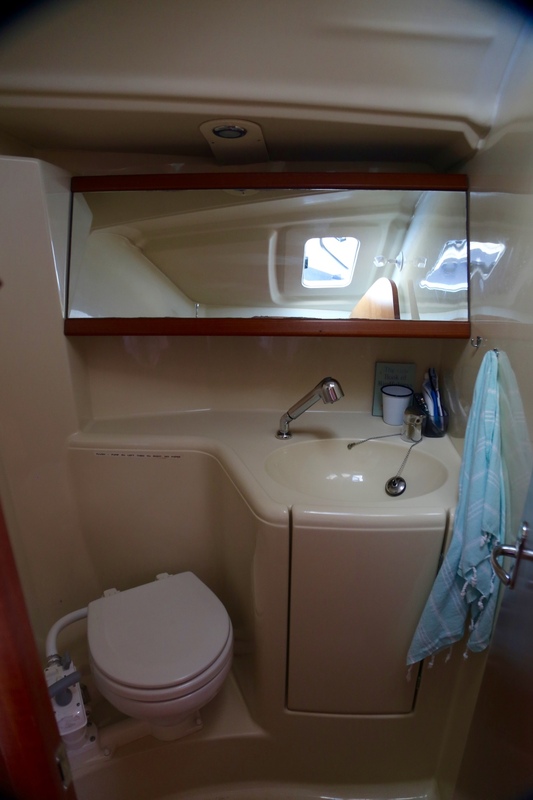 If you're a true land lubber' boats have alternative names for house things, for example Heads are toilets, Galley is the kitchen, cabins are bedrooms... so I've captioned the photos.